Take special care when handling or storing an undeployed air bag. An air bag deployment produces a rapid generation of gas. This may cause the air bag, or an object in front of the air bag, to project through the air in the event of an unlikely deployment. Dual stage air bags have two deployment stages. If stage?€‰1 was used to deploy a dual stage air bag, stage?€‰2 may still be active. Therefore, a deployed dual stage air bag must be treated as an active air bag. If disposal of a dual stage air bag is required, both deployment loops must be energized to deploy the air bag. During the course of a vehicle's useful life, certain situations may arise which will require the disposal of a live and undeployed air bag. Do NOT dispose a live and undeployed air bag through normal disposal channels until the air bag has been deployed. After replacement of an air bag under warranty?€”the air bag may need to be returned undeployed to the manufacturer. If the vehicle is the subject of a product liability claim, related to the SIR system and is subject to a preliminary investigation ?€” do NOT alter the SIR system in any manner. If the vehicle is involved in a campaign affecting the air bags ?€” follow the instructions in the campaign service bulletin for proper SIR handling procedures. Some countries, states or localities may not allow service deployment of air bags without special permission or training. Local laws regarding deploying and scrapping of air bags/devices with pyrotechnics must be followed. Using the SIR diagnostics, you determine that the air bag is malfunctioning. The air bag is cosmetically damaged, scratched, or ripped. The air bag pigtail is damaged. The air bag connector is damaged. The air bag connector terminals are damaged. Deployment and disposal of a malfunctioning air bag is subject to any required retention period. Refer to SIR Inflator Module Disposal Warning. 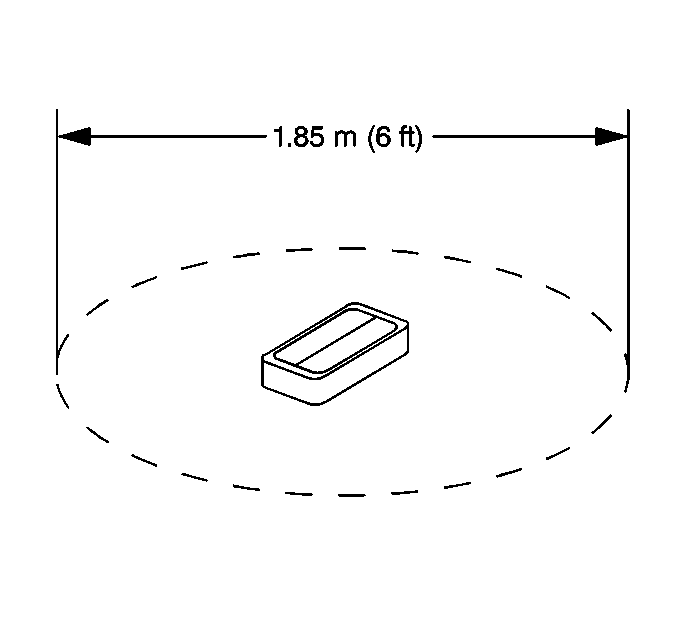 Clear a space on the ground about 1.85?€‰m (6?€‰ft) in diameter for deployment of the air bag or deployment fixture. If possible, use a paved, outdoor location free of activity. Otherwise, use a space free of activity on the shop floor. Ensure you have sufficient ventilation. Clear the area of loose or flammable objects. Dual stage deployments are only used in steering wheel and instrument panel air bags. 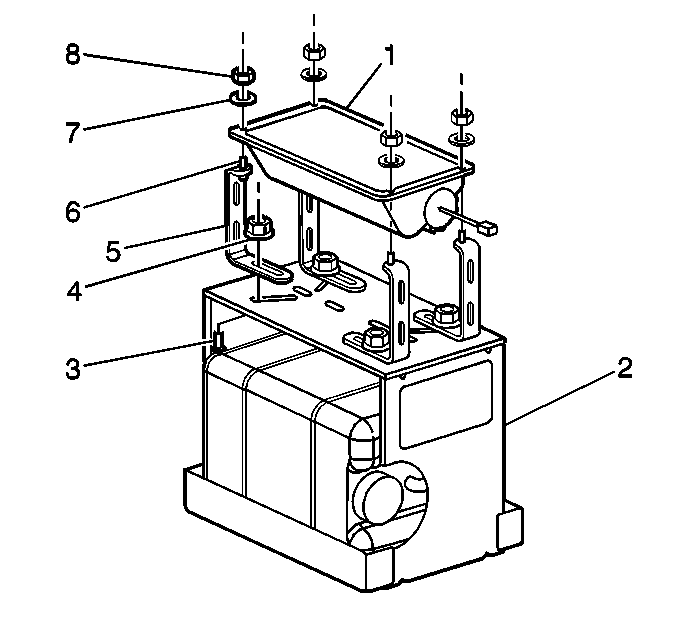 If stage?€‰1 was used to deploy a dual stage air bag, stage?€‰2 may still be active. If disposal of a dual stage air bag is required, both deployment loops must be energized to deploy the air bag. If you are deploying a steering wheel air bag, place the air bag in the center of the space with the vinyl trim cover facing up and away from the surface. Place the EL-39401-B fixture in the center of the cleared area. Fill the deployment fixture with water or sand. Using the proper nuts and bolts, mount the instrument panel air bag?€‰(1) to the deployment fixture?€‰(2), with the vinyl trim facing up. 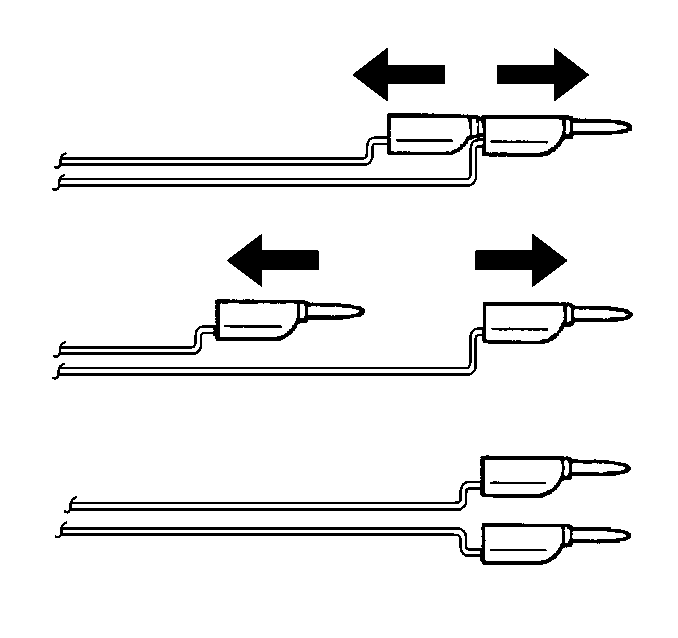 Securely tighten all fasteners that hold the instrument panel air bag?€‰(1) to the deployment fixture?€‰(2). Place the EL-39401-B fixture (3) in the center of the cleared area. Fill the deployment fixture with water or sand to provide sufficient stabilization of fixture during deployment. Adjust and secure the fixture arms?€‰(4) to the deployment fixture?€‰(3), using the proper nuts and bolts. Attach the roof rail air bag in the deployment fixture and securely tighten all fasteners. Inspect the EL-38826 harness and the appropriate pigtail adapter?€‰(2) for damage. Replace as needed. Short the 2?€‰SIR deployment harness leads?€‰(1) together using one banana plug seated into the other. Connect the appropriate pigtail adapter?€‰(2) to the SIR deployment harness?€‰(1). Extend the SIR deployment harness and adapter to the full length from the deployment fixture or area. On a dual stage air bag, both connectors must be attached to the deployment harness adapter. This will ensure that both stage?€‰1 and stage?€‰2 of the deployment loops are energized, regardless of the deployment state. 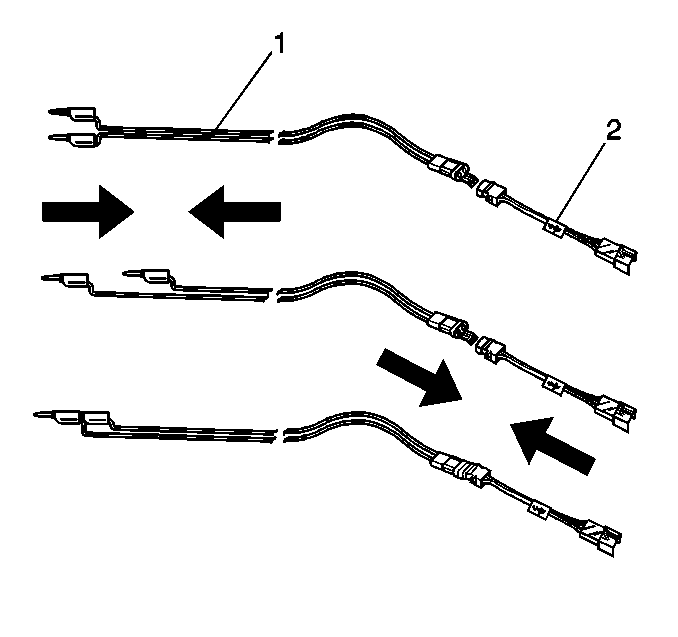 Connect the air bag?€‰(1) to the adapter?€‰(2) on the SIR deployment harness?€‰(3). The rapid expansion of gas involved with deploying an air bag is very loud. Notify all the people in the immediate area that you intend to deploy the air bag. 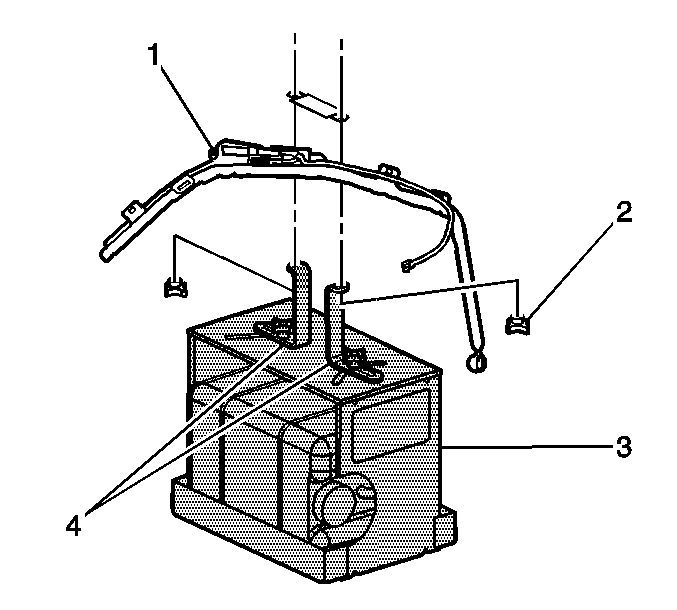 When the air bag deploys, the deployment fixture may jump about 30?€‰cm (1?€‰ft) vertically. This is a normal reaction of the air bag due to the force of the rapid expansion of gas inside the air bag. If you are deploying a dual stage air bag with stage?€‰1 already deployed, the fixture may not move and the noise may have been reduced. Clear the area of people. Separate the 2?€‰banana plugs on the SIR deployment harness that were shorted together earlier in the procedure. Place a 12?€‰V minimum/2A minimum power source, such as a vehicle battery, near the shorted end of the harness. Connect the SIR deployment harness wires to the power source. Deployment of the air bag will occur when contact is made. 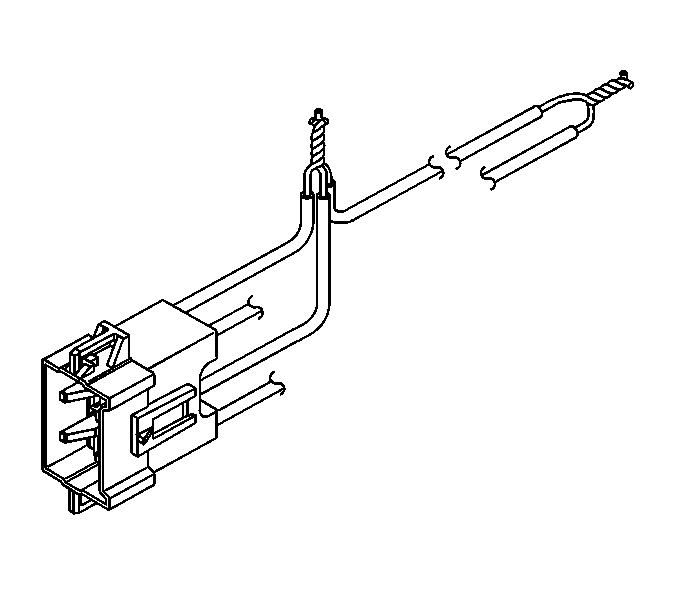 Disconnect the SIR deployment harness from the power source after the air bag deploys. If the air bag did not deploy, disconnect the adapter and discontinue the procedure and contact the Technical Assistance Group. If deployment was successful, proceed to the following steps. Refer to SIR Deployed Inflator Modules Are Hot Warning. Seat one banana plug into the other in order to short the deployment harness leads. Put on a pair of shop gloves. 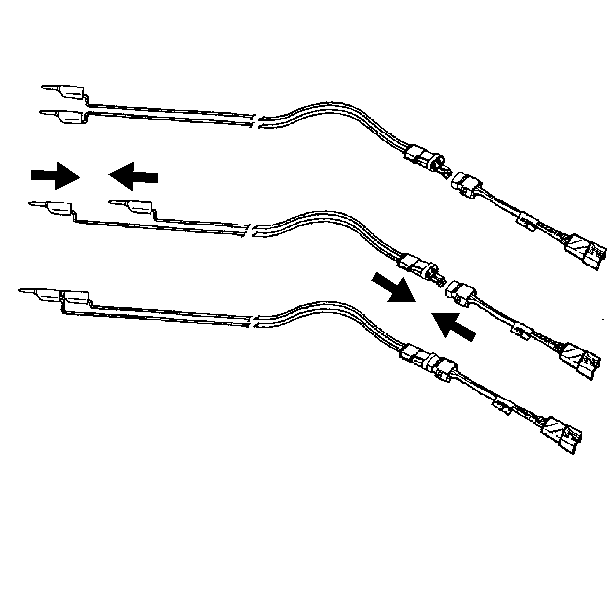 Disconnect the pigtail adapter from the air bag as soon as possible. Inspect the pigtail adapter and the SIR deployment harness. Replace as needed. 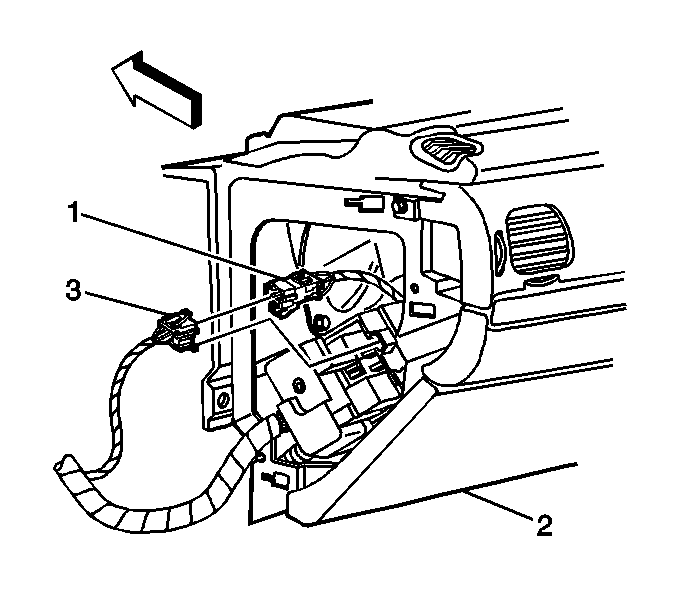 Dispose of the deployed air bag through normal refuse channels. Wash your hands with a mild soap. The vehicle has completed all useful life. Irrepairable damage occurred to the vehicle in a non-deployment type accident. Irrepairable damage occurred to the vehicle during a theft. The vehicle is being salvaged for parts to be used on a vehicle with a different VIN, as opposed to rebuilding as the same VIN. Refer to SIR Inflatable Module Deployment Outside Vehicle Warning. Lower the driver and passenger windows. Turn the ignition switch to the OFF position and remove the ignition key. Check that all air bags which will be deployed are mounted securely. Remove all loose objects from the front seats. A deployed dual stage inflator module will look the same whether one or both stages were used. Always assume a deployed dual stage inflator module has an active stage 2. Improper handling or servicing can activate the inflator module and cause personal injury. 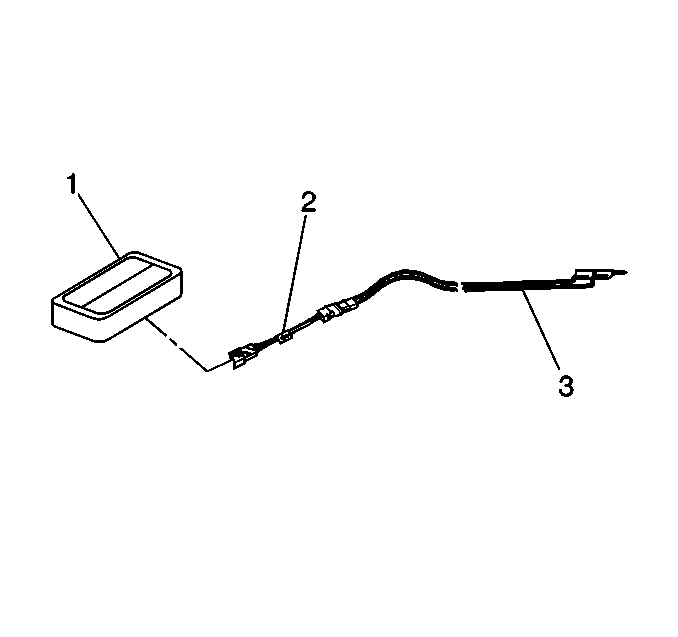 Disconnect the steering wheel air bag yellow connector?€‰(1) from vehicle harness yellow connector?€‰(3). If the vehicle is equipped with dual stage air bags the steering wheel air bag and instrument panel air bag will each have 4?€‰wires. Refer to Component Connector End Views for determining high and low circuits. Cut the yellow harness connector out of the vehicle, leaving at least 16?€‰cm (6?€‰in) of wire at the connector. Strip 13?€‰mm (0.5?€‰in) of insulation from each of the connector wire leads. 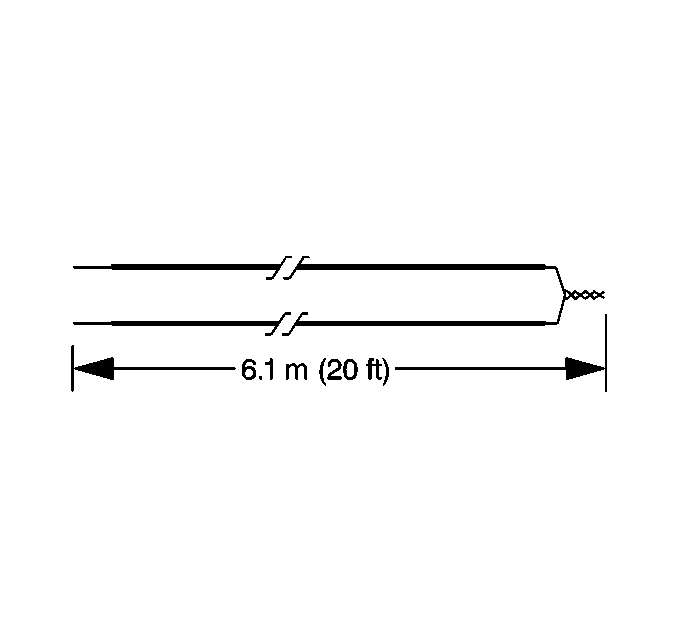 Cut two 6.1?€‰m (20?€‰ft) deployment wires from a 0.8?€‰mm (18?€‰gauge) or thicker multi-strand wire. Use these wires to fabricate the driver deployment harness. Strip 13?€‰mm (0.5?€‰in) of insulation from both ends of the wires. Twist together one end from each of the wires in order to short the wires. Deployment wires shall remain shorted, and not connected to a power source until you are ready to deploy the air bag. Twist together the 2 connector wire leads from the high circuits from both stages of the steering wheel air bag, to one set of deployment wires. Refer to Component Connector End Views in order to determine the correct circuits. Inspect that the 3-wire connection is secure. Secure and insulate the 3-wire connection to the deployment harness using electrical tape. Twist together the 2 connector wire leads from the low circuits from both stages of the steering wheel air bag, to one set of deployment wires. Refer to Component Connector End Views in order to determine the correct circuits. Connect the deployment harness to the connector on the steering wheel air bag. 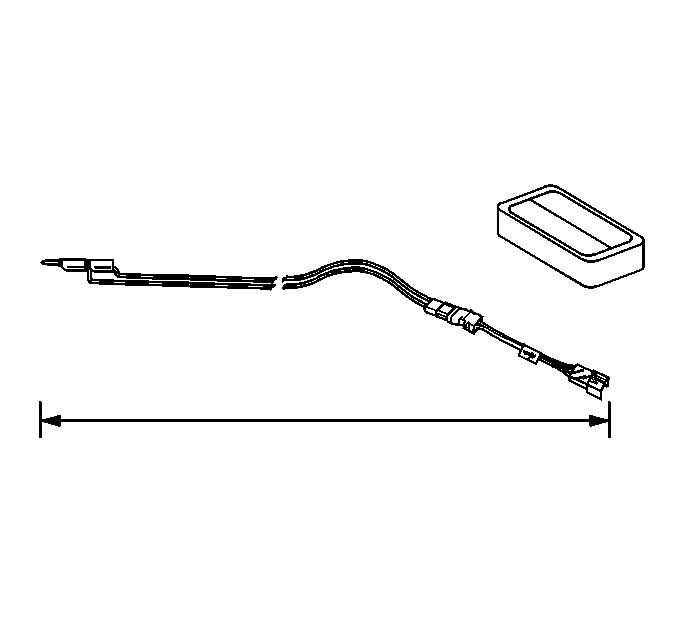 Route the deployment harness out of the driver side of the vehicle. Disconnect the yellow left roof rail harness connector from the vehicle harness connector. 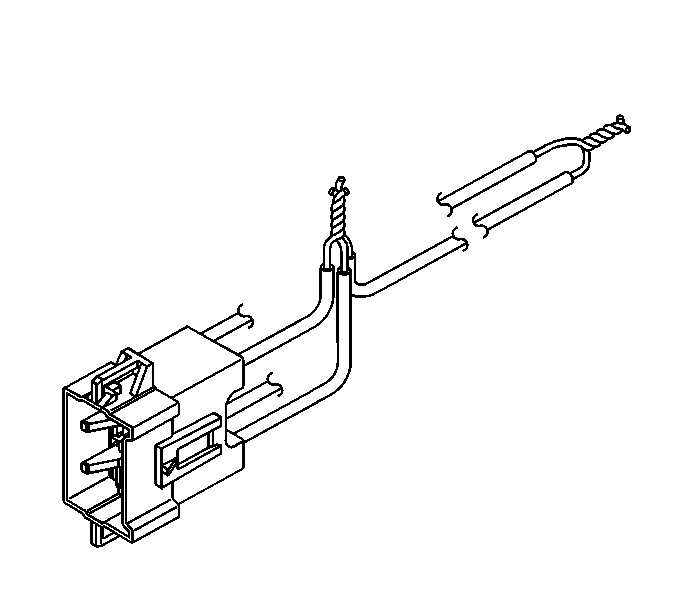 Cut the harness connector out of the vehicle, leaving at least 16?€‰cm (6?€‰in) of wire at the connector. Cut two 6.1?€‰m (20?€‰ft) deployment wires from a 0.8?€‰mm (18?€‰gauge) or thicker multi-strand wire. These wires will be used to fabricate the roof rail air bag deployment harness. Twist together one end from each of the wires in order to short the wires. Twist together one connector wire lead to one deployment wire. Secure and insulate the connection using electrical tape. Twist together and tape the remaining connector wire lead to the remaining deployment wire. Connect the deployment harness to the yellow connector of the roof rail air bag. 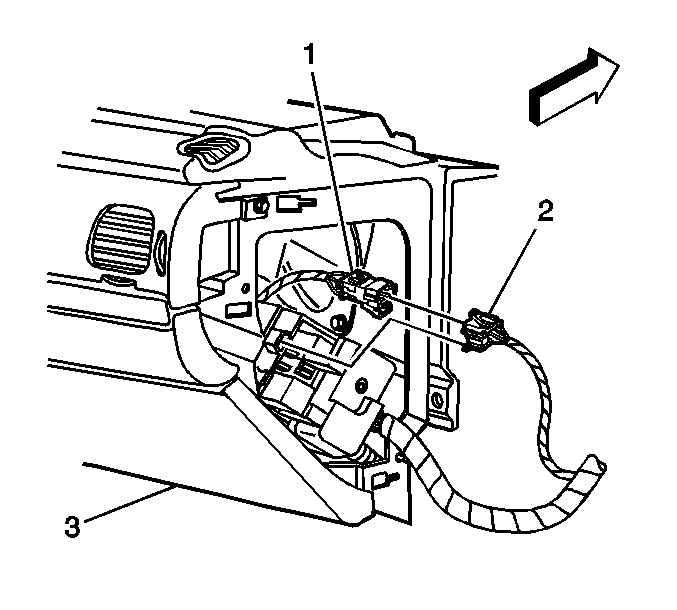 Disconnect the instrument panel air bag yellow harness connector?€‰(1) from the vehicle harness connector?€‰(2). 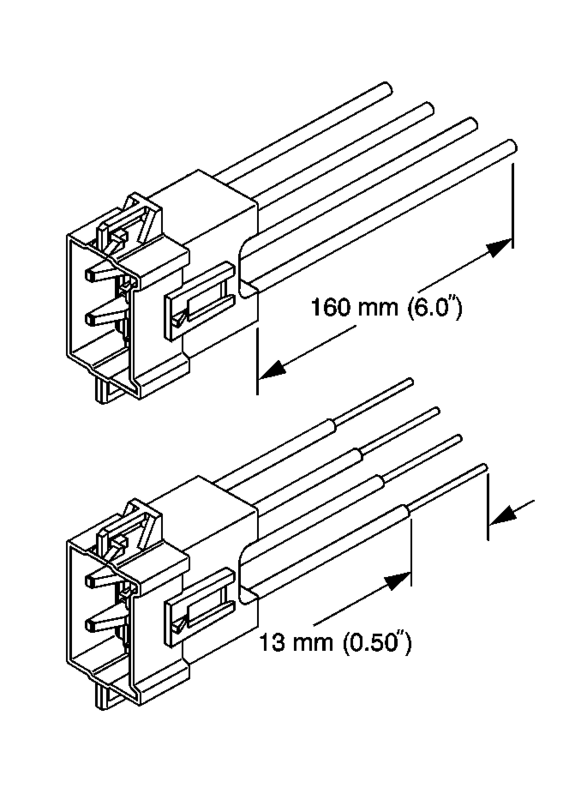 Cut two 6.1?€‰m (20?€‰ft) deployment wires from a 0.8?€‰mm (18?€‰gauge) or thicker multi-strand wire. These wires will be used to fabricate the passenger deployment harness. Twist together the 2?€‰connector wire leads from the high circuits from both stages of the instrument panel air bag to one set of deployment wires. Refer to Component Connector End Views in order to determine the correct circuits. Twist together the 2?€‰connector wire leads from the low circuits from both stages of the instrument panel air bag to one set of deployment wires. Refer to Component Connector End Views in order to determine the correct circuits. Connect the deployment harness to the instrument panel air bag in-line connector. Route the deployment harness out of the passenger side of the vehicle. Disconnect the yellow harness connector to the right roof rail air bag from the vehicle harness connector. Connect the deployment harness to the roof rail air bag yellow connector. Completely cover the windshield and the front door window openings with a drop cloth. Stretch to the full length all of the deployment harness wires on the right side of the vehicle. Deploy each deployment loop one at a time. Place a power source, 12?€‰V minimum/2A minimum, such as a vehicle battery, near the shorted end of the harnesses. 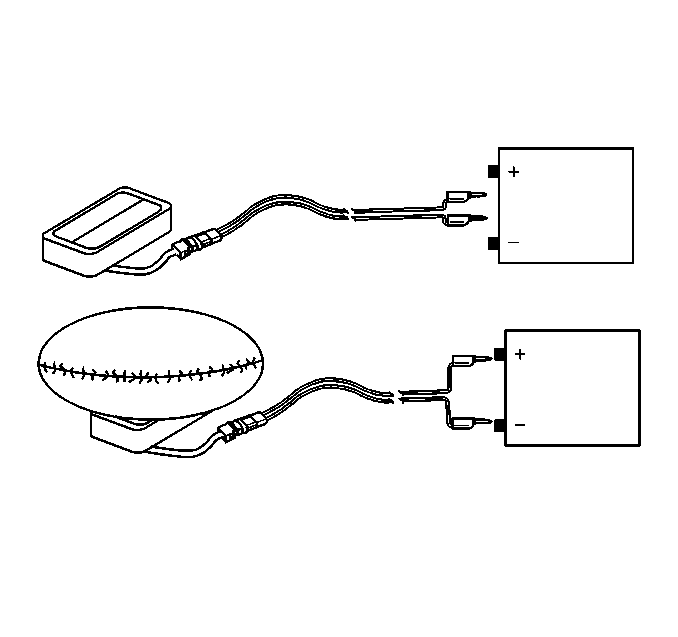 Separate one set of wires and touch the wire ends to the power source in order to deploy the selected air bag. Disconnect the deployment harness from the power source and twist the wire ends together. Continue the same process with the remaining deployment harnesses. Disconnect all harnesses from the vehicle. Scrap the vehicle in the same manner as a non-SIR equipped vehicle. If one or all of the air bags did not deploy, remove the undeployed air bags from the vehicle.